Metallica have been confirmed as the Saturday night headliners for Glastonbury as the full line-up is revealed. The US band tweeted the news last night. It will be Metallica's first appearance at the festival in Somerset and the first time a heavy metal act has topped the bill on the Pyramid stage. They join the previously announced headliners Arcade Fire and Kasabian for the festival at the end of June. 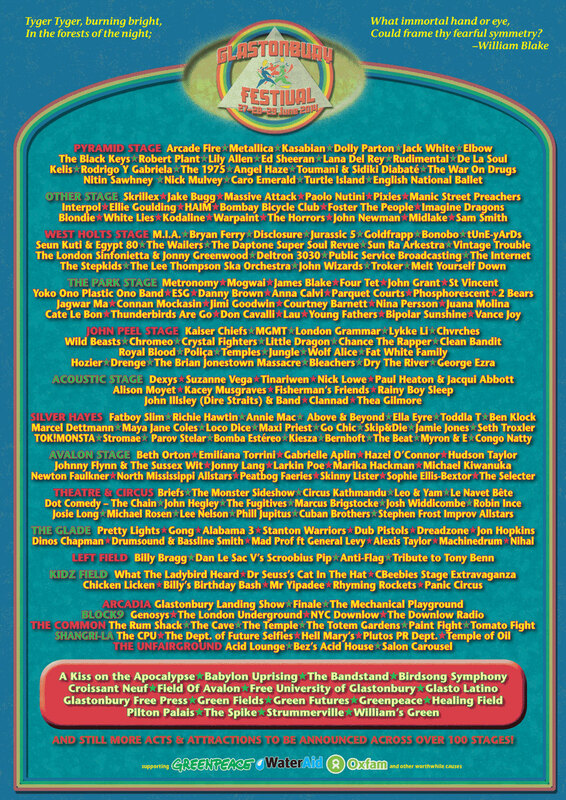 Glastonbury posted the full line-up poster last night.